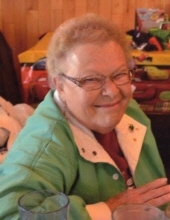 View The Obituary For Velma Nellie Hansen. Please join us in Loving, Sharing and Memorializing Velma Nellie Hansen on this permanent online memorial presented by Benton Funeral Home. Ethel M. Bear, 68, passed away due to natural causes at Peace Hospice in Great Falls Monday, March 18, 2019. Wake services will begin at 5:00 p.m., and a Rosary service will be held at 7:00 p.m…. William A. ‘Bill’ Mavity, 94, of Billings, passed away peacefully on March 19, 2019. CASPER, Wyo — The angels took Jacob much too soon on March 13, 2019. Jacob was a tough cowboy who walked a hard road. CORRECTION to Esther’s funeral service it will be held at 11 a.m. with a viewing from 10 – 10:45 a.m. on Friday, March 22 at Faith Evangelical Church in Billings, located at 3145 Sweet Water Dr.